A recent study by researchers at UCLA examined the link between Vitamin B12 and acne, as it had been suggested in numerous studies or published observations of vitamin B12-induced acne. It was observed in the small sample of 10 participants that after taking Vitamin B12, there were higher levels of the vitamin on the skin. This led to a skin bacterium Propionibacterium acnes to produce more porphyrins, a molecule that is pro-inflammatory. The researchers stressed that the take-away from their study was that skin bacteria is a critical part of understanding acne (and the take-away should not be to stop taking vitamin B). 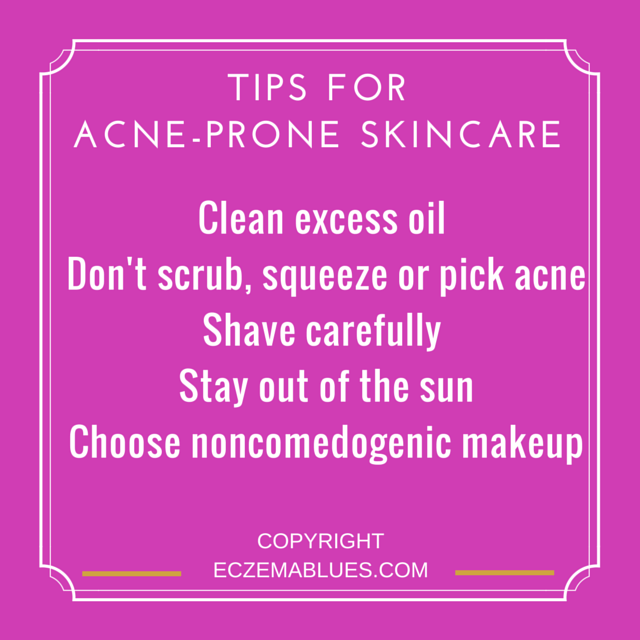 Acne is linked to the increase of oil/sebum on the skin but the development of acne is not entirely lucid. In an interview MarcieMom had with dermatologist Dr Lynn Chiam, Dr Lynn shared her insight on acne and also tips for those suffering from both acne and eczema. The key objectives of acne treatment is to heal the pimples, stop new ones and prevent scarring. Do you have a special regime to care for your skin and any particular diet? Share with #SkinishMom in the comments!